I was wary in the least approaching a biographical comic. 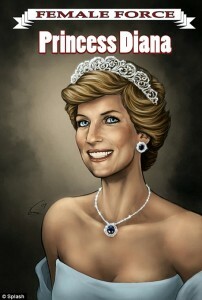 Let alone one about Princess Diana – a woman who existed as a public figure well before my time. To my surprise, however, it was an enjoyable read. The writing is clear and concise and the art plays off of the simplicity in the writing, maintaining a beautiful and accurate image of Diana’s life. Though she did not lead a simple life, she did have simple values, pure in nature, that she spread forth unto the world in hopes of making it a better place. This is a quality of Diana’s the biographer makes very apparent through the repetition of her good deeds. Diana Spencer was born on July 1st, 1961. Her parents, John and Francis were minor nobles, allowing for Diana to later meet Prince Charles at a royal party. They married quickly after having started dating due to the immense pressure put on Charles to find himself a potential Queen. Four months into the marriage Diana conceived their first son William, two years after which his brother Harry was born. Charles and Diana later divorced and had shared custody of their children. After her divorce Diana continued to give refuge to those in need and promoted awareness for diseases such as A.I.D.S – proving to the world that she was as great of a woman now as she was when married to Charles. She had began dating Dodi Al Fayed and started living her new life by her rules and not those of the royal family. The public continued to follow the life of Diana and watch as she left her mark on the world. On August 31 1997, Diana was in a car accident causing her untimely death a 36 years of age alongside lover Dodi. Although I did enjoy most aspects of this issue, including both the story and art, it was the final page that sucked me in. It is a one page drawing of Diana in the clouds and by-hell if it didn’t give me the chills. 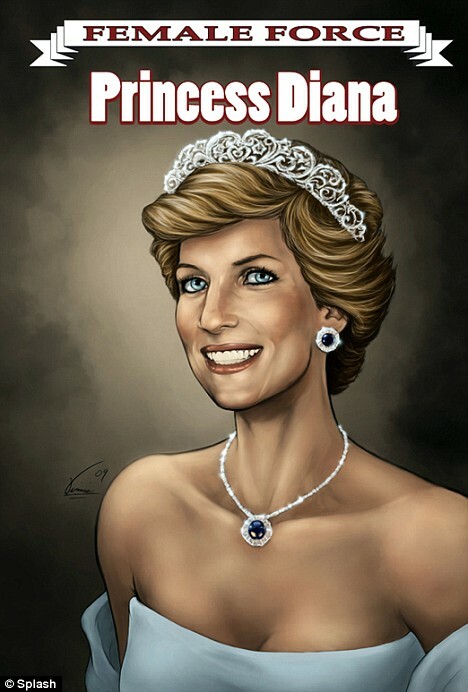 Reading this comic as someone who is unaware of Diana’s kind heart, it can become overwhelming due to the strenuous nature of her life and death. Seeing great people experience horrible things is enough to break the heart of anybody. So, by the time I had reached the final page, seeing a drawing of her in a peaceful state after the hell she had seen left me speechless, something that very few comics have the ability to do. Overall, on a scale of 5 stars this issue gets 4.5 because it does what any great comic book should do – inspire and stimulate the readers mind. I also loved this issue because unlike the high majority of what I read this is something I can hand to my grandmother and friend alike, with both being able to take something great away from it. In turn, I recommend this comic to anyone who can read, there is nothing more humbling than to learn about the life of an impeccable woman who believed and showed that great change is possible in our society.